The two-time Grammy Award winner Sharon Isbin is a trailblazing performer and teacher who broke through numerous barriers to rise to the top of a traditionally male-dominated field. 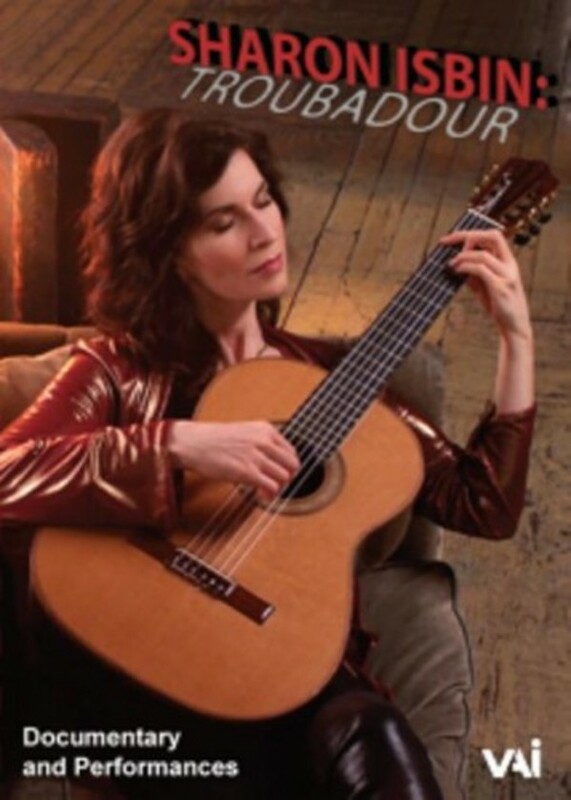 The film 'Sharon Isbin: Troubadour', produced by Susan Dangel, explores her unique and inspiring journey which has expanded and transformed the landscape of the guitar. Performances are showcased from international concert stages, the Grammy Awards, and the White House. The colourful array of guests appearing in the film in interviews and performances includes John Corigliano, Christopher Rouse, Tan Dun, Joan Tower, Steve Vai, Stanley Jordan, and Mark O'Connor, as well as commentary from such celebrated figures as First Lady Michelle Obama, Joan Baez, Martina Navratilova, David Hyde Pierce, and Garrison Keillor. The film also explores Isbin’s role as teacher of a new generation of guitarists at both The Juilliard School, where she created the first guitar department, and the Aspen Music Festival. In addition to the documentary, the DVD contains performances of works by Howard Shore, Mark O’Connor (in performance with Isbin), Augustín Barrios Mangoré, Antonio Lauro and Isaac Albéniz, including duets with Romero Lubambo.